Ultra-Dynamics Pty Ltd recently supplied two on-conveyor magnetite magnetic susceptibility meters to the Northland Resources Kaunisvarra Iron Ore Project in Sweden. The Magnasat magnetic susceptibility meters were selected because of their ability to be installed directly on tonnage rated conveyor belts for the measurement of magnetite in real-time. 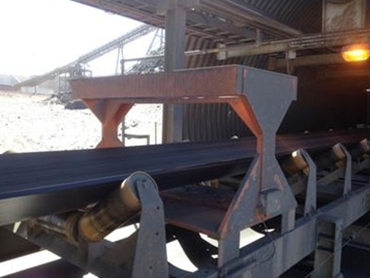 While one of the systems has been supplied to monitor the ore as it is conveyed from the mine to the processing plant, the second instrument is being used to monitor the mill feed material. Both Magnasat magnetic susceptibility meters will provide valuable process control information to be used for process control functions.